Please consider that the below script uses the xp_cmdshell to issue the files move commands to the underlying OS. It isn't default enabled on SQL Server Instances. Be sure to enable this feature before running the script. The script is provided as it is and for free, use it at your own risk. 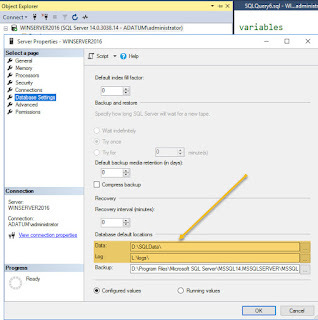 Firts of all let me say I definitively love SQL Server and I'm really impressed about the product technical improvements in the last years, including the stunning 2016 Version. But at the same time I am worried about the SQL Server market positioning on non-enterprise customers. Standard Edition price is growing too much, by my opinion. The free SQL Server Express edition is really too limited in terms of resources to work as a company central repository; Standard Edition can do this job well (altough the 128 GB RAM limitation can easly become a bottleneck), but, in many cases, affording a 10K licences price + the SA fee really becomes a serious obstacle to the product adoption. Please take in consideration that there are millions of small customers, using only SQL Server standard features as backend for their ERP, accounting software, stock management and so on, that your pricing strategy is pushing away (and this is not only true for SQL Server). 1) In SQL Server 2012 MS has introduced the BI Edition, why don’t cut off the Standard Edition price as well as the BI features? 2) MS is still selling SQL Server as a product (license) and as a service (Software Assurance); now is giving free licenses to customers migrating from Oracle, but they still have to pay the service (SA). Why don't do a step forward and decide to sell the whole product, for all customers, as a service eliminating the initial licence price? Other SQL Server experts at the same time are complaining about the Standard Editions features limitations. I think you have really developed a wonderfull product, but at the some time a discutable marketing strategy, that is positioning your product as an Enterprise solution even for the entry level editions; I hope I shouldn’t reskill myself on PostGress in the next years. Few days ago a customer asked me to implement a security auditing solution for their production instances of SQL Server, to track users and logins management events. I immediately thought about the native SQL Audit function, but there was a problem, all users gain access to SQL Server with the same login, so to identify exactly who I had to capture the hostname field; unfortunately, the available fields in the SQL Server audits are predefined and not mdifiable (at least not easily) and among them the hostname is missing. At that point I decided to use DDL triggers, which unlike the DML, have not a significant impact in terms of performances. Then I have built the DDL trigger. Now you have all info you need to monitor your security events at Server and DataBase level. 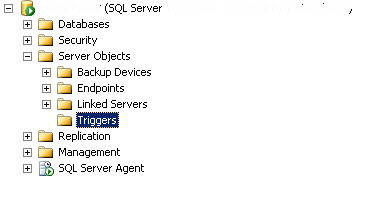 Just notice in SQL Server there a security hole: no DDL events avalaible for disable Trigger action. Ruggiero Lauria 2010. Tema Fantastico S.p.A.. Powered by Blogger.